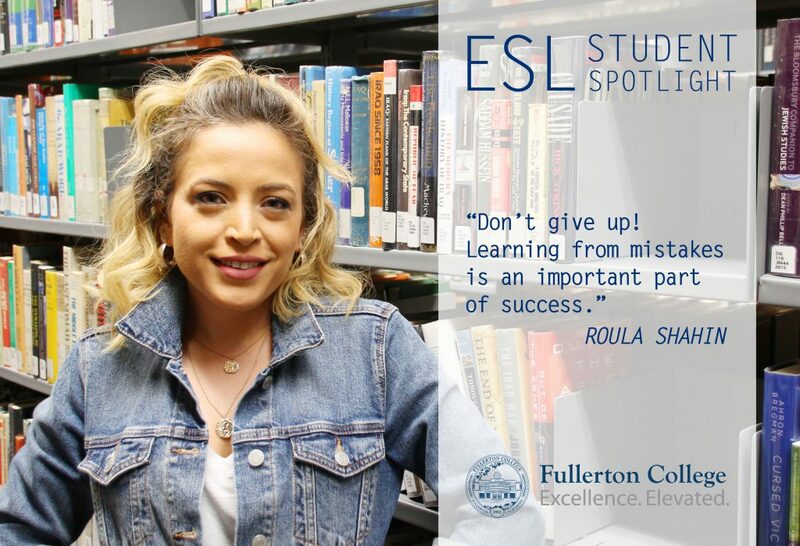 Roula is originally from Syria and moved to the United States four years ago. 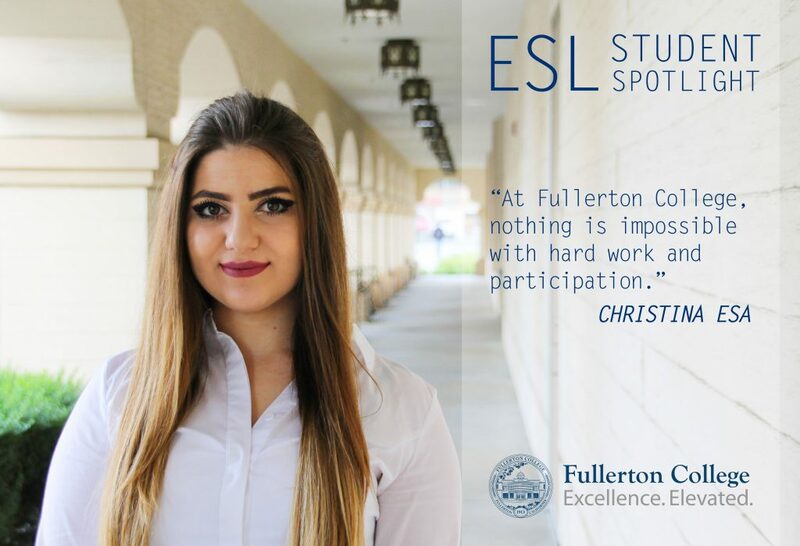 She started taking classes at Fullerton College in 2017, and this semester, she is taking ESL 186 with Professor Cain. 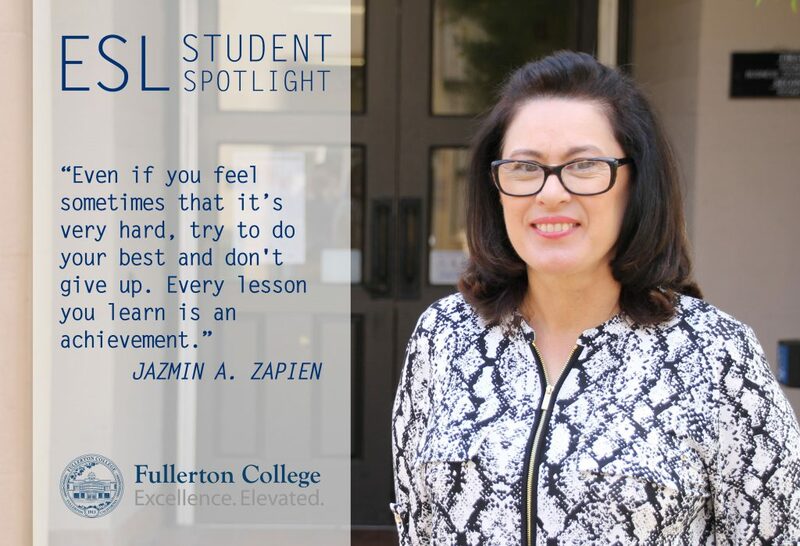 Jazmin uses her improved confidence at her job in Disneyland. “When I started working, my English language skills were very limited and my confidence was low.” Before, she used to memorize answers to common questions, but through her hard work and experience, she is now more able to communicate confidently with customers and coworkers in English. Meet Apisara Vairojanakich. Apisara is originally from Thailand. She is currently taking ESL 190 with Professor Cain. 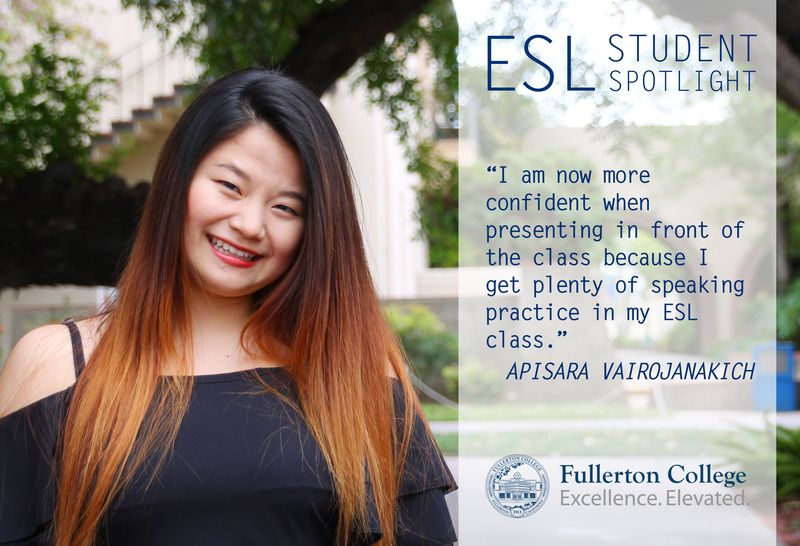 Apisara talks about how she is able to read and understand articles faster and more effectively than before because of the reading strategies she has learned from her ESL class. 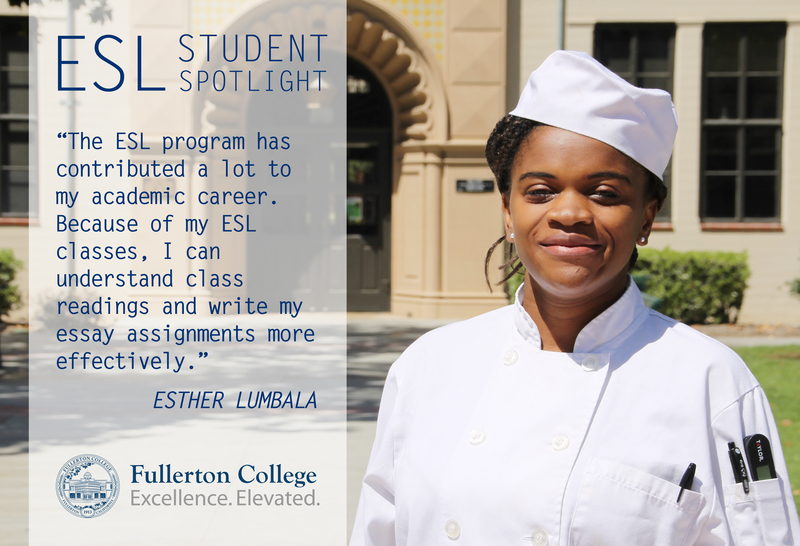 She is also now more confident when she presents in front of the class because she gets plenty of speaking practice in her ESL class. She advises future students to manage their time well so that they have plenty of time to work on their writing assignments and the lab activities in the Skills Center, which she finds very helpful. In addition, she encourages students to get to know their classmates and make a lot of friends. Apisara’s plan is to complete her general education classes and pursue a degree in health science at a 4-year university. Meet Robert Moshi. 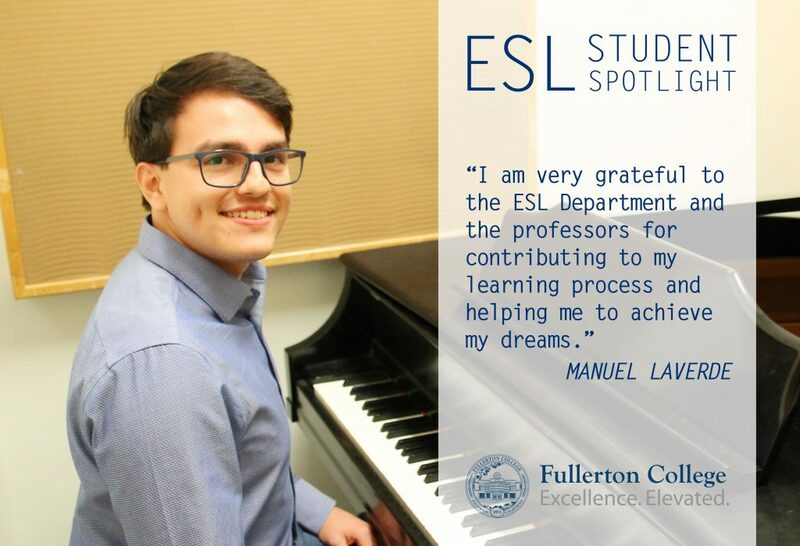 Robert has recently completed the core ESL sequence and is currently working on his transfer credits for a degree in Biology. 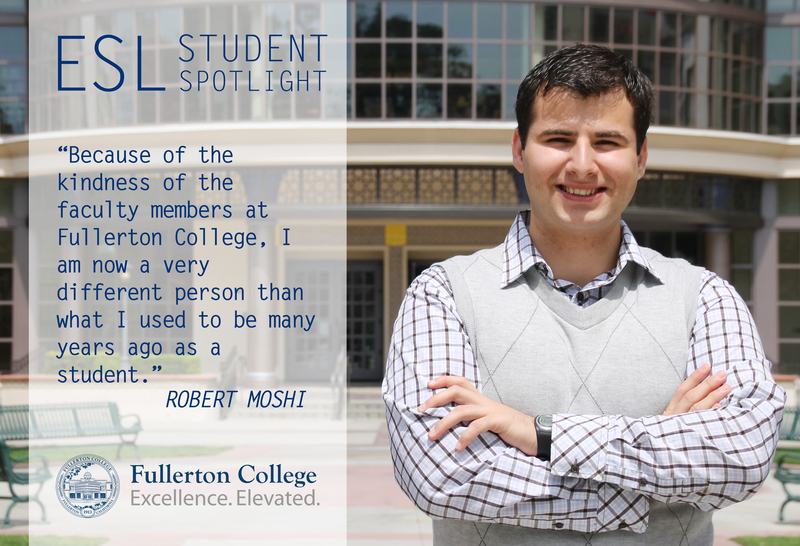 After Fullerton College, Robert hopes to transfer to UCLA and finish a bachelor’s degree in Biology. 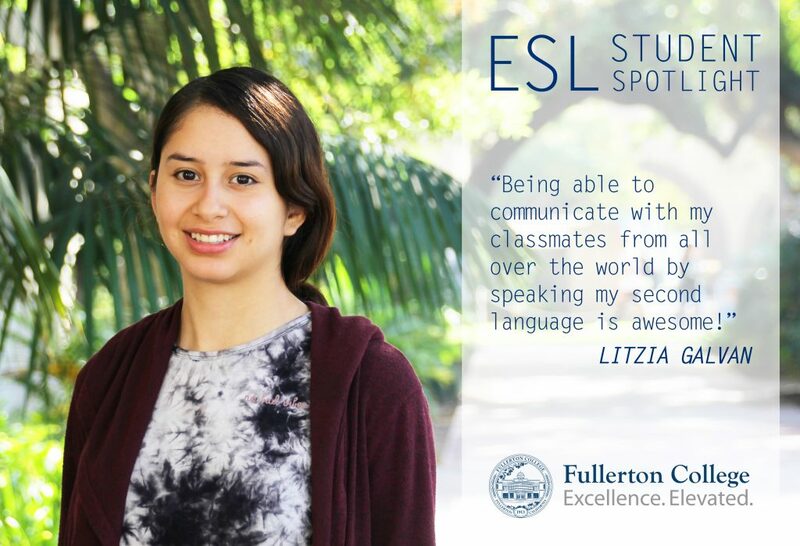 After Fullerton College, Litzia is planning to complete a degree in Biological Science at Cal State Fullerton.